Would you like to become a business broker ? If you have a Real Estate License and would like to learn a new career, this may be the right option for you! While a different type of training and certification is required, selling businesses is often more interesting and rewarding than selling real estate. Business brokers, also called business transfer agents, or intermediaries, assist buyers and sellers of privately held small business in the buying and selling process. They typically estimate the value of the business; advertise it for sale with or without disclosing its identity; handle the initial potential buyer interviews, discussions, and negotiations with prospective buyers; facilitate the progress of the due diligence investigation and generally assist with the business sale. Agency relationships in business ownership transactions involve the representation by a business broker (on behalf of a brokerage company) of the selling principal, whether that person is a buyer or seller. The principal broker (and his/her agents) then become the agent/s of the principal, who is the broker's client. The other party in the transaction, who does not have an agency relationship with the broker, is the broker's customer. Traditionally, the broker provides a conventional full-service, commission-based brokerage relationship under a signed agreement with a seller or "buyer representation" agreement with a buyer. In most states this creates, under common law, an agency relationship with fiduciary obligations. Some states also have statutes which define and control the nature of the representation and have specific business broker licensing requirements. Agency relationships in business ownership transactions involve the representation by a business broker (on behalf of a brokerage company) of the selling principal, whether that person is a buyer or a seller. The principal broker (and his/her agents) then become the agent/s of the principal, who is the broker’s client. The other party in the transaction, who does not have an agency relationship with the broker, is the broker's customer. In some U.S. states, business brokers act as transaction brokers. A transactions broker represents neither party as an agent, but works to facilitate the transaction and deals with both parties on the same level of trust. Dual agency occurs when the same brokerage represents both the seller and the buyer under written agreements. Individual state laws vary and interpret dual agency rather differently. If state law allows for the same agent to represent both the buyer and the seller in a single transaction, the brokerage/agent is typically considered to be a dual agent. Special laws and rules often apply to dual agents, especially in negotiating price. In some U.S. states (notably Maryland), Dual agency can be practiced in situations where the same brokerage (but not agent) represent both the buyer and the seller. If one agent from the brokerage has a home listed and another agent from that brokerage has a buyer-brokerage agreement with a buyer who wishes to buy the listed property, dual agency occurs by allowing each agent to be designated as “intra-company” agent. Only the principal broker himself/herself is the dual agent. Some states do allow a broker and one agent to represent both sides of the transaction as dual agents. In those situations, conflict of interest is more likely to occur. Assist client in establishing a MPSP Value—Most Probable Selling Price Valuation; the techniques used by individual brokers can vary greatly in this process. Develop a comprehensive Information Memorandum on the company; normally a 15-30 page document outlining the business for potential buyers. Exposure—Marketing the business to prospective buyers. Screen buyers for ability to complete a purchase. Coordinate negotiations and provide deal structuring advice. Provide overall deal management to guide the client through the entire process. Help maintain confidentiality of the sale. Hourly consulting for a fee, based on the client's needs. Perhaps one of the biggest services provided by brokers is the ability to allow owners to stay focused on running their business during the sale process, which can take on average 6 months to 12 months to complete. The sellers and buyers themselves are the principals in the sale, and business brokers (and the principal broker's agents) are their agents as defined in the law. However, although a business broker commonly fills out the offer to purchase form, agents are typically not given power of attorney to sign the offer to purchase or the closing documents; the principals sign these documents. The respective business brokers may include their brokerages on the contract as the agents for each principal. The use of a business broker is not a requirement for the sale or conveyance of a business or for obtaining a small business or SBA loan from a lender. However, once a broker is used, a special escrow attorney sometimes called a settlement attorney (or party handling closing) will ensure that all parties involved will be paid. Lenders typically have special requirements for a business related or SBA loan. The market served by business brokers generally involves the sale of businesses with transaction values less than $10,000,000. Larger privately held companies are classified in the middle market and will employ firms that specialize in mergers and acquisitions (M&A). However, business brokers do participate in mergers and acquisitions activities when it involves a transaction between two or more smaller companies. Business brokers and M&A firms do overlap activities in the extremes of their market. These extremes are called the transitional market, or transmarket. Ensures confidentiality—Brokers have established systems in place to protect the confidentiality of a business. Appraisals—Most business owners have no idea what their business is worth. Certified Business Brokers are trained in business valuation and can help business owners understand the true value of all their hard work and sacrifice. Market knowledge—Brokers make their living selling businesses. They are in the market on a daily basis conversing with buyers. A local business broker understands the local market as well as what a business is worth. Listing the business for sale to the public, often on a Multiple Listing Service (MLS), in addition to any other methods. Based on the law in several states, providing the seller with a business condition disclosure form, and other forms which may be needed. Ensuring buyers are prescreened so that they are financially qualified to buy the business; the more highly financially qualified the buyer is, the more likely the closing will succeed. Negotiating price on behalf of the sellers. The seller's agent acts as a fiduciary for the seller. By not being emotionally tied to the transaction, business brokers are in a position to more effectively negotiate on a seller's behalf. This may involve preparing a standard offer to purchase contract by filling in the blanks in the contract form. Negotiating facility lease assignment or transfer, negotiating with creditors, assisting buyers in obtaining financing. Business brokers attract prospective buyers in a variety of ways, including listing limited details of available businesses on their websites and advertising in business newspapers and magazines. Brokers also directly approach prospective buyers and sellers to gauge interest. 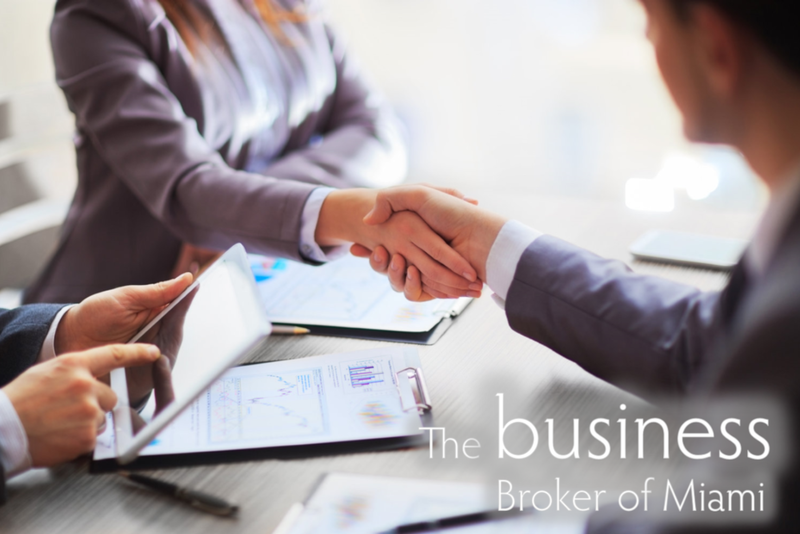 Although there can be other ways of doing business, a business brokerage usually earns its commission after the business broker and a seller enter into a listing contract and fulfill agreed-upon terms specified within that contract. The seller's business is then listed for sale, often on a business-specific Multiple Listing Service (MLS) in addition to any other ways of advertising or promoting the sale of the property. There are three forms of brokers compensation: hourly, retainer, and success fee (commission upon a closing). A broker may use any one, or combination of these when providing services. The most common form of compensation is a success fee commission where the payment of a commission to the brokerage is contingent upon finding a satisfactory buyer for the business for sale, the successful negotiation of a purchase contract between a satisfactory buyer and seller, or the settlement of the transaction and the exchange of money between buyer and seller. Just as major investment banks normally charge a retainer for services, more business brokers have started to embrace this practice as well. The retainer helps cover the upfront costs incurred by the broker to perform services and shows a commitment on the part of the client (seller or buyer) that they are serious. Certain types of M&A transactions involve securities and may require that an intermediary be securities licensed in order to be compensated. In North America, success fee commissions range from 5% to 12%. Usually, the smaller the transaction, the larger the commission. "Main Street" businesses, those with enterprise value between $100,000 and $1,000,000 can expect commissions to average between 10-12%. Commissions are determined between the client (seller or buyer) and their broker and are normally paid at closing. The larger middle market transactions use the Lehman or the Double Lehman scales. The standard commission is likely to be lower in the United Kingdom (see Lehman Formula). Commissions are negotiable between seller and broker. The commission could also be paid as flat fee or some combination of flat fee and percentage, particularly in the case of lower-priced businesses, businesses in the multi-million dollar price, or other unusual business assets. The details are determined by the listing contract. Out of the commission received from the seller, the broker will typically pay any expenses incurred to do the work of trying to sell the listed business, such as advertisements, etc. All compensation to a broker paid by a third party must be disclosed to all parties. In the US, licensing of business brokers varies by state, with some states requiring licenses, some not; and some requiring licenses if the broker is commissioned but not requiring a license if the broker works on an hourly fee basis. State rules also vary about recognizing licensees across state lines, especially for interstate types of businesses like national franchises. Some states, like California, require either a broker license or law license to even advise a business owner on issues of sale, terms of sale, or introduction of a buyer to a seller for a fee. All Canadian provinces with the exception of Alberta, require a real estate license in order to commence a career. According to an IBBA convention seminar in 2000, at least 13 states required business brokers to have a real estate license. The following states require a license to practice as a business broker: Arkansas, California, Colorado, Florida, Georgia, Idaho, Illinois, Michigan, Minnesota, Nebraska, Nevada, Oregon (only if real estate transfer is part of the transaction),Rhode Island, South Dakota, Utah, Wisconsin, and Wyoming. Certain types of M&A transactions involve securities and may require that these "middlemen" be securities licensed in order to be compensated.